Anytime I’m brainstorming a new recipe, I call my mom. She is an awesome cook and filled with creative ideas. She has lots of delicious recipes and is pretty famous for her macaroni and cheese. If it doesn’t make an appearance at a tailgate or family party she is questioned. So I called her the other day to get her secrets… can you believe she adds a whole stick of butter and Velveeta to her mac & cheese?! I love my mom, but that processed cheese product would never make it into my recipe! I want the real thing so I shredded up my new favorite Alpine blend from Cabot. Cabot asked me to demo the recipe at the Southern Women’s Show in Orlando, which was this past weekend. I’ve never done a cooking demo on that scale before– microphone, cooking stage, crowd of people, and preparing food for over 100. But wow! It was invigorating and felt so natural. I didn’t realize how much I love cooking with people. But it makes sense because it’s why I blog… to share stories of life and healthier foods at the same time. I learned so much about myself and techniques for demoing, and I’m thankful I had a loving husband that helped me cook and haul the goods to the show. Thanks mom, dad, and Eric for supporting me and Cabot for letting me be a part of this fabulous event. 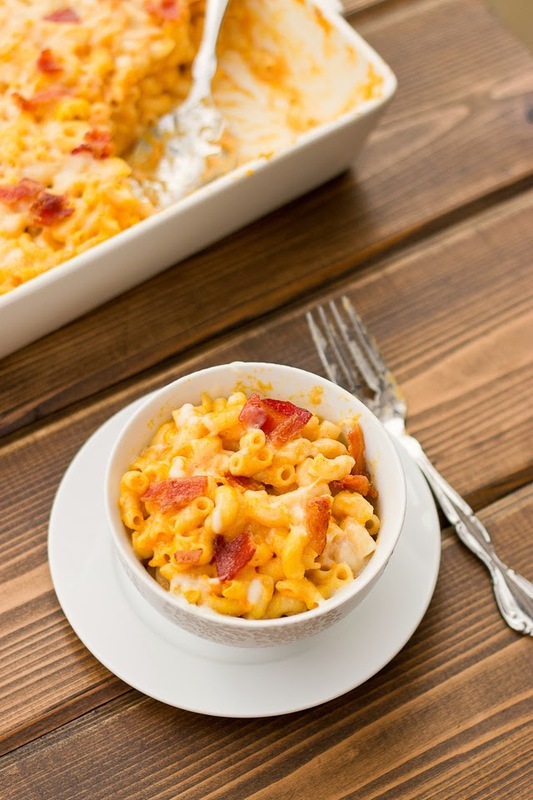 Get the recipe for this Pumpkin Mac & Cheese, here on the Cabot website! Preheat oven to 400°F. Coat 13 X 9 inch baking dish with cooking spray. Cook macaroni to al dente according to package directions. Rinse and drain. Line rimmed baking sheet with aluminum foil and arrange bacon. Cook bacon for 10 minutes and blot dry. Crumble and set aside. In large pot, melt butter over medium heat. Whisk in flour and slowly add milk until mixture is smooth and ingredients incorporated. Stir in canned pumpkin and continue to whisk until mixture is thickened, about 5 minutes. Remove pot from heat and stir in spices, cheese (reserve 1/2 cup for topping), and yogurt whisking quickly to mix together until cheese is melted. 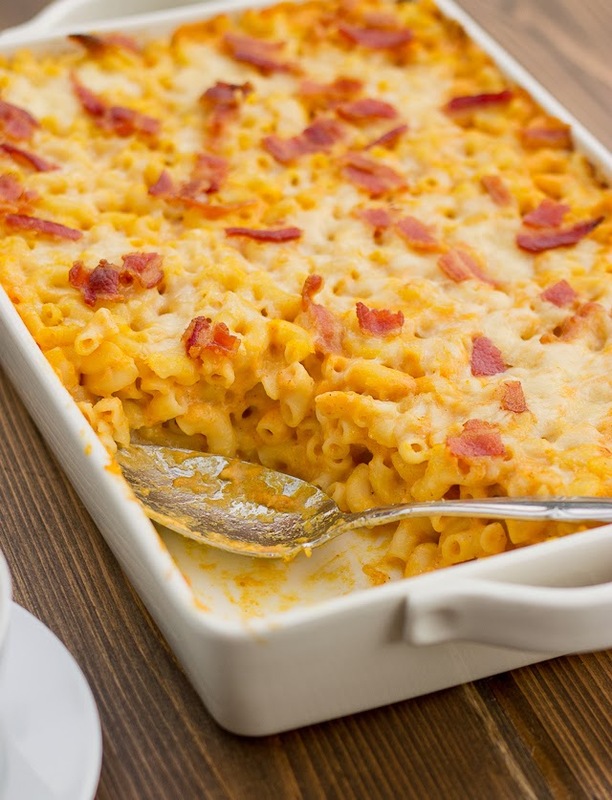 Pour macaroni into prepared baking dish and coat evenly with pumpkin cheese sauce. Top with remaining cheese and bacon. Bake for 20 minutes until cheese is melted and bubbly. Allow to cool for 5-10 minutes before serving. Thanks Jackie! It was super fun 🙂 I do love Cabot! How fun! This weekend was the open farm Sunday events up here in the northeast for Cabot and funny enough the farm I visited had made their own mac n cheese too for all the visitors 🙂 I'm loving the looks of this one too though! Lucky duck… I want to go back to the farm! Envious of your time with the farm animals… haha. 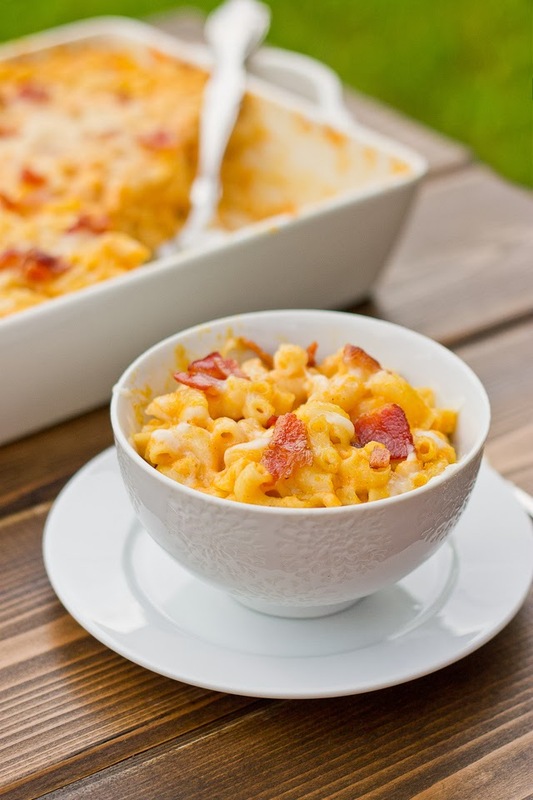 Can't go wrong with mac & cheese made with Cabot! 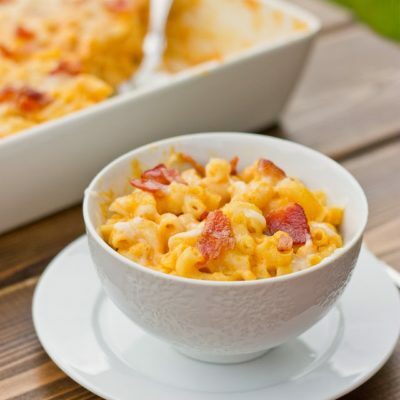 I have been craving macaroni and cheese lately and this recipe looks delicious. Will definitely be giving this a try! Kristina, thanks for sharing…Our 22 year old is heading home this weekend and I must make this for him. What would you suggest if we don't have Cabot cheese? Go out and grab some, if possible 😉 u truly won't be disappointed! The alpine blend is a mix of cheddar and Parmesan so maybe adding some freshly grated parm w cheddar will give u similar flavor? Hope your family likes it! We heard you were a total rock star at the Southern Women's Show. And I LOVE this recipe!